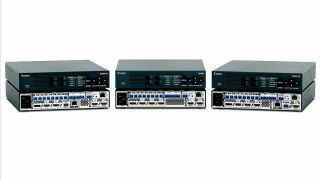 The What: Extron has begun shipping the IN1804, a series of compact four-input scalers that provide video scaling, switching, and integration features. They support HDMI 2.0 data rates up to 18Gbps and incorporate the Extron-exclusive Vector 4K scaling engine with 4:4:4 chroma sampling and 30-bit internal video processing for best-in-class image quality. The What Else: Two available IN1804 models provide signal extension over shielded twisted-pair cable. The IN1804 DI includes a DTP2 twisted pair input that can receive signals from remote DTP and DTP2 transmitters mounted at a conference table, lectern, or wall. The IN1804 DO has a DTP2 twisted-pair output that can send signals to a DTP or DTP2 receiver mounted behind a flat panel display, above a ceiling mounted projector, or in other remote locations. DTP transmitters and receivers are available in compact, low-profile enclosures, plus wall plate and floor box form factors to suit a range of professional environments. In addition to supporting DTP endpoints, the IN1804 DI and IN1804 DO can be integrated into an XTP CrossPoint matrix switcher system. This is ideal for facility-wide AV system applications with a centralized AV signal distribution infrastructure, as well as several presentation spaces with local AV switching and processing. An IN1804 DI in a room can connect into an XTP CrossPoint matrix switcher in a central equipment rack or closet to receive shared AV resources, or a connected IN1804 DO can distribute a local presentation to several destinations in a facility. The Bottom Line: Offering a host of features including seamless switching effects, logo keying, still image recall, and optional twisted pair capability, the IN1804 Series provides the performance and flexibility to support the most demanding presentation environments.